Tata Tiago hatchback was recently launched in India at a starting price of ₹ 3.2 lakh (introductory; ex-showroom, Delhi). 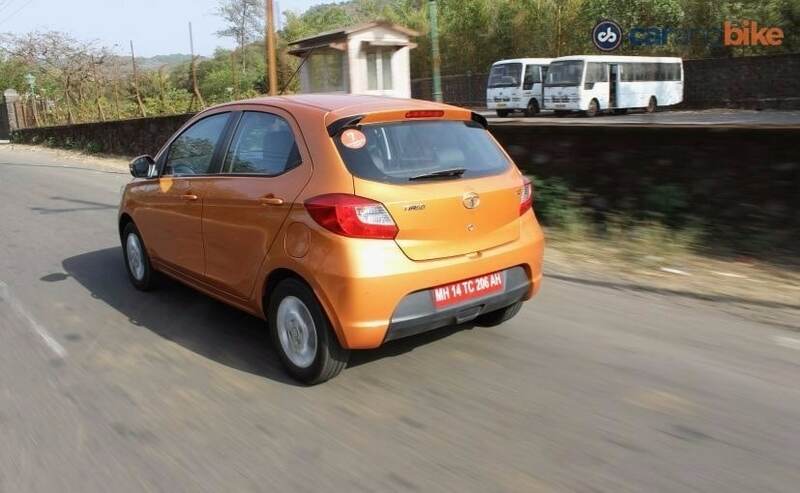 Hoping to carve a niche in the compact vehicle segment, Tata Motors' Tiago compact hatchback gets 5 variants (XB, XE, XM, XT, and XZ) + 3 optional safety variants for each engine option. One must note the three optional safety variants cost an additional ₹ 18,000 over the selected trim's price. The two engine options on offer on the Tata Tiago, the 1.2-litre Revotron petrol and 1.05-litre Revotorq diesel, promise not only improved performance but also better fuel-efficiency via the 'Power' and 'ECO' modes. While the petrol variant gets an ARAI-certified mileage of 23.84Km/l, the diesel promises 27.28Km/l. As far as performance goes, the petrol motor develops 84bhp of power and 139Nm of torque and the 1.05-litre Revotorq diesel unit churns out 67bhp and a peak torque of 140Nm. Both the engines are paired to a 5-speed manual transmission as standard. 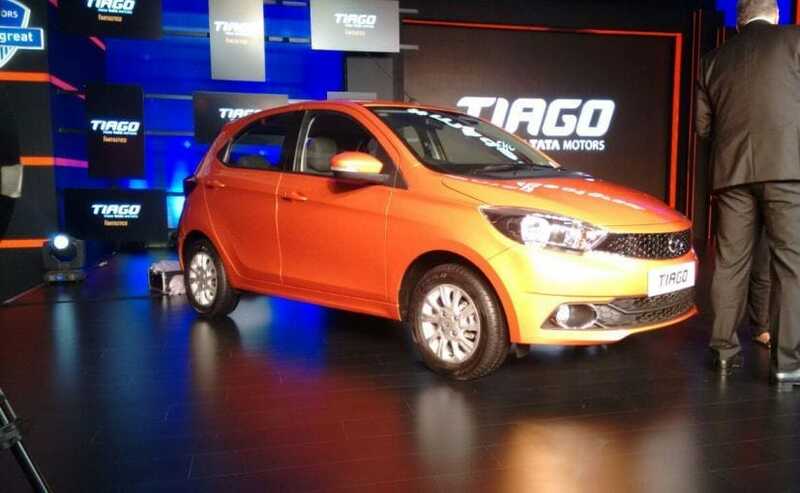 Moving on to design, the Tiago hatchback, which was developed over a period of two years, is based on the comprehensively updated XO platform and gets a refurbished chassis that promises improved safety, handling, and rigidity. Tata roped in its global design centres located in Coventry, UK; Turin, Italy, and Pune, India for the Tiago hatchback. The styling is appreciable and lends a young vibe to the model. Tata has also finally strayed away from the Vista styling on the Tiago and the new design looks more upmarket. Features that stand out on the hatchback include the new signature honeycomb grille flanked by the new head-lamps. The bumper looks wide, while the fog lamps get chrome bezels. 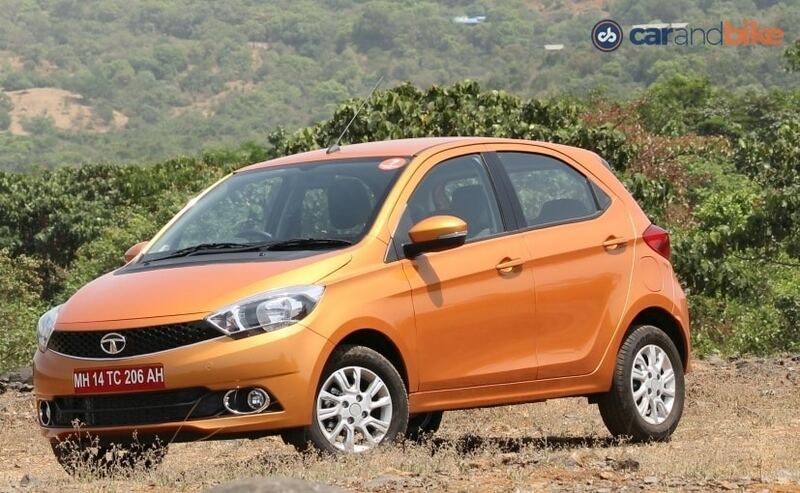 The side profile features an accentuating character line and also gets sporty alloy wheels. Other interesting bits include the electrically foldable ORVMs, wrap-around LED tail-lamps and scooped out bumper with additional cladding to help reduce visual bulk. 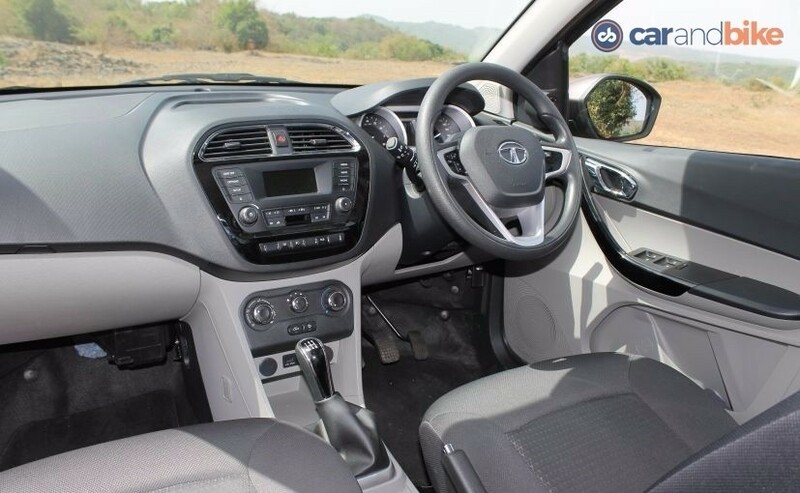 The cabin of the Tata Tiago largely resembles that of the company's new age range of cars and comes with the familiar multi-function steering wheel, black and grey interior colours and gloss black inserts all across. The chrome finished door handles are a nice touch. The centre console gets a Harman-sourced ConnectNext infotainment system with AUX, USB and Bluetooth connectivity, apart from HVAC unit. The list of Tiago's segment-first features comprises the Juke car app as well as turn-by-turn navigation. 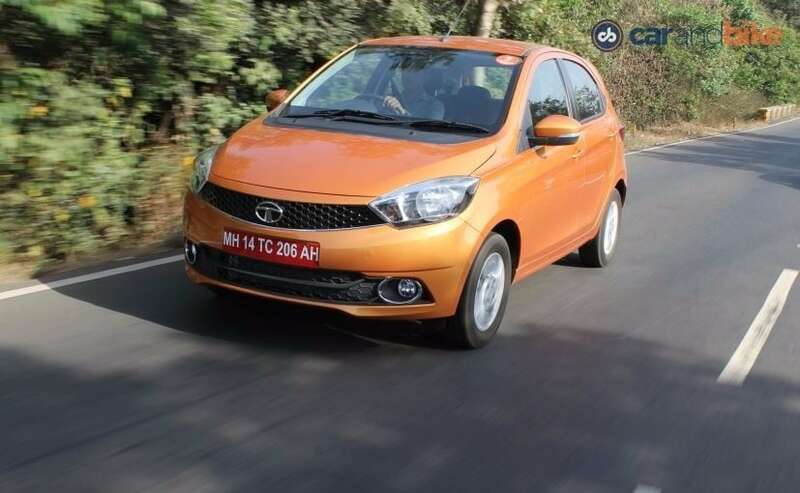 Tata Motors has priced the Tiago competitively and the automaker is trying to hit a host of segments with the help of different variants. Due to the pricing, not only does the model compete with the Maruti Suzuki Celerio, Chevrolet Beat, and Hyundai Grand i10, but will also lock horns with the top-end variants of the Renault Kwid. Tata seem to have its game on point and we can expect such aggressiveness in the future products as well.